Membership shall be open to all persons who endorse the objects of the club and pay the annual subscriptions of the Club – Club Membership Season dates will be as of 1st of January through to the 1st December on any given year. The committee must annually revise and or determine the entrance fee and the annual membership fee to be paid for membership of the club as shall be displayed and updated via the “ www.phmcc.com.au” website. If a member has not paid the annual membership fee within the period of 3 months after the due date, the member ceases to be a member on the expiry of that period. (b) if the payment is accepted, the person’s membership is reinstated from the date the payment is accepted. (1) The Club Registrar and or the secretary, or another person authorised by the committee, is responsible for the requirements imposed on the club under section 53 of the Act to maintain the register of members and record in that register any change in the membership of the club. (2) The register of members must be kept in electronic format at the club registrar’s place of residence, or at another place determined by the committee. (3) A member who wishes to inspect the register of members must contact the club registrar to make the necessary arrangements. the committee may require the member to provide a statutory declaration setting out the purpose for which the copy or extract is required and declaring that the purpose is connected with the affairs of the club. A person must not hold 2 or more of the offices mentioned in sub rule 5a at the same time. At the Annual General Meeting all members of the committee shall retire but shall be eligible for re-election. They shall remain in office until their successors are appointed at the Annual General Meeting next following appointment (any two members may purpose any other candidate or candidates for office by verbal motion at the time of the Annual General Meeting). Voting shall be by show of hands and every member shall be entitled to vote for as many candidates as there are vacancies. Who shall receive the most votes shall be declared as elected. In the case of two or more candidates receiving an equal number of votes, the President shall have a second or casting vote. The President of the Club shall chair ALL meetings that may arise. In the President’s absence, the Secretary of the club shall take the chair. All members present and attending are entitled to case one (1) vote upon every matter. In the case of equality of vote the chairman shall have a second or casting vote. A special general meeting may be convened at any time by the committee, with the receipt of a requisition in writing signed by not less than five members specifying the object of the meeting. Twenty-One (21) days’ notice must be given in writing to all members. In the event of a vacancy on the Committee, the committee shall have the power to elect any member of the club to fill such vacancy, but the proceedings of the committee shall not be invalidated in consequences of there being less than the prescribed number. The financial statement and the accounts of the club have to be audited prior to the commencement of the new race year. A member of the club not being a trustee or a member of the committee shall be elected to serve as auditor for the enduring year. Income and property as is derived shall be applied solely towards the promotion of the PHMCC objectives. If at any time the Club shall be of an opinion that the interests of the Club so require they may by letter direct a member to resign from the Club. The resignation/expulsion of a member shall be submitted to a Special General Meeting of members at the members’ earliest convenience. The Secretary shall conduct the correspondence of the Club and shall have the custody of all documents and records belonging to the Club. Person(s) shall keep full and correct minutes of all proceedings and records of all competitions of the Club. The committee shall meet together for the dispatch of business as often as the President or in his absence; the Secretary shall deem necessary (not less than once in every month). At least three days’ notice shall be given to each committee member, and the committee may adjourn and otherwise regulate its meetings as it thinks fit. A quorum shall be four members. At every meeting of the committee, the President shall preside and in his absence, the members present shall choose one of their numbers to be Chairman of such meetings. Questions arising at any meeting shall be decided by a majority of votes and in the case of any equality of votes; the Chairman shall have a second or casting vote. The committee shall keep a minute book showing the resolutions proposed and passed and all other proceedings at their meeting. The property of the Club shall be vested in two Port Hedland Motorcycle Club custodians who shall be elected by the members and they shall respectively hold office until death or resignation, unless removed from office by a resolution of members. Any casual vacancy in the office of custodians may be filled up by the Committee. The person who is nominated shall hold office until the next general meeting after such appointment when he shall retire, but he shall be eligible for reappointment. The Club Custodians shall deal with the property of the Club in such manner as may appear to be in the best interest of the Club; subject always to the approval of the committee. The Executive Committee shall have the power to alter the rules. No such alterations shall take effect until those changes have been confirmed at the Annual General Meeting or the Special General Meeting. The ordinary committee shall have the power to make by-laws for the regulating of the conduct and the affairs of the club in accordance with the Constitution. a member from the Club House and grounds, and to withhold from him and all benefits and privileges of membership until such extraordinary general meeting shall be held. The Club deems it mandatory the inclusion of the approved clause of “Indemnity” to all “On the Day” entry forms adopted by the affiliated Clubs. Any person under the age of eighteen (18) must have the parents/guardian’s handwriting authorisation and approval of participation. The committee may from time to time appoint from among their number such sub committees as they deem necessary or expedient and may dispute or refer to them such of the powers and duties of the Committee as the Committee may determine. Such sub committees shall periodically report their proceedings to the committee and shall conduct their business in accordance with the direction of the committee. A social committee shall be formed and be responsible for the fund raising and social antiquities of the club, reporting to the Management Committee through the Social Secretary. A sports committee shall be formed and be responsible for the completion calendar, competition rules, organization of events and recording of rides points, scores, reporting to the management committee thought the sports secretary. Members of these committees shall be elected at the annual general meeting with a minimum of four members each. A work coordinator shall be elected and be responsible for recruiting labour and materials necessary for all club construction and maintenance projects. In the event that the club is dissolved, any surplus property that remains after the dissolution and the satisfaction of all debts and liabilities shall be transferred to another association within Western Australia, incorporated under the Act, that has similar objects and that is not carried on for the profit or gain of its individual members. In the event of insolvency, The Club Custodians shall have the power to seek professional advice to determine its rights, obligations and options of the club at the cost of the Port Hedland Motorcycle Club. (b) between members and the Port Hedland Motorcycle Club. A requirement for the parties to the dispute to try and resolve the issue themselves, powers for the committee to consider and determine the matter if a resolution cannot be reached by the parties. Therefore, the secretary is able to given opportunity for a mediator to be appointed to assist in the matter. 27) The inspection by members of the club records and documents of the of club. Any current financial paid member may upon request to the current secretary, may inspect the register of members, record of office holders and any other records. If the member wants to inspect a document that records the minutes of a committee meeting, the right to inspect that document is subject to any decision the committee has made about minutes of committee meetings generally, or the minutes of a specific committee meeting, being available for inspection by members. Further guidance may be used by the committee using the Models Rules and Guidance Notes – Associations Incorporation Act 2015 and or any other explanatory material Associations Incorporation Act 2015. 5) Starting Procedure: Prior to the commencement of the race meeting the starter must inform all riders of the line up and start procedures. Twenty and Five second boards are to be used at the start of each race. Five second board is to be held for a minimum of 5 seconds before the gates drop. If a start flag is used, a single quick upward movement is recommended for “GO”. All clubs that have gates must use them for all classes, but all clubs shall have twelve (12) months grace to improve their gates if non-compliant. 8) Scrutineers: Minimum of two (2) scrutineers must be will by the club and must be available during the prescribed scrutineering times. 1) Machines and Riders: Onus is on rider to present themselves including machines/quads and back up bikes with helmets to scrutineer for approval before entering rack for practise or competition. Scrutineering and registration will be at ONE POINT ONLY, to be nominated by the host club. 2) Backup Machines: All back up machines must be scrutineered and must meet all the following standards, and must carry the riders on NWMA registered numbers. 5) Brakes: Both front and rear brakes must be fitted and fully effective. Both brake levers must return under spring tension to the ready position. 6) Throttle: Self-returning throttle and twist grip must be fully effective, ie: the complete throttle assembly must return under its spring tension to the idle position when the twist grip is released. (CAUTION) Do not allow the throttle assembly to snap back against the idle adjusting pin in the carburettor, as this can break the tip off and result in serious engine damage. 7) Spokes: Spokes must be of the correct tension. Not so tight as to emit a high pitched ring when struck with a spanner or screwdriver blade. Spokes emitting a dull thus are too loose. Broken or missing spokes will not be permitted. 8) Wheel Rims: Both wheel rims must be in a good general condition. Buckled rims not exceeding ¼ run out will be permitted. Badly cracked or buckled rims will not be permitted. 9) Kick Start Lever: The kick-start lever must return under its spring tension to the uppermost position and must fold inward and stay in close to the engine not being a dangerous obstruction. Wired up or similarly secured kick-start levers will not be permitted. 11) Swing Frame Bearings: Rear suspension forks head clamps must be tight so as not to allow any movement between the forks and the head clamps which would result in serious wheel wobble. A simulated steering motion exerted on the handle bars while anchoring the front wheel will emphasise any excessive movement. 13) Split Pins: Split pins must be fitted and turned back where provision is made. 14) Seat and Fuel Tank: The seat and fuel tank must be securely fitted, with some small movement allowed where rubber mountings are used. 15) Mudguards: Flexible front and rear mudguards must be fitted; with no cracks or loose fittings and no sharp edges. 16) Tyres: Tyres must be in good condition, with no bulging or loose or missing tread knobbles. 17) Foot Pegs: Foot pegs must be securely fitted, with no broken or cracked welds, springs or clevice pins must return under its spring tension to the down position. 18) Fuel Safety: Fuel tank, filter cap, lines, tap or carburettor must not leak fuel at any point. NOTE: The use of highly volatile fuels, nitro-methane, alcohol or similar fuel additives is not permitted, unless written proof of manufacturer’s specifications requiring special fuel is produced. 19) Exhaust Pipes: Exhaust pipes must be securely fitted, with no cracks, holes, broken welds or springs, and must not be excessively noisy. 20) Kill Switch: An effective engine ignition “kill switch” of the PUSH BUTTON type must be fitted to the handle bar. 22) Side Panels & Number Plates: The side panels and number plates must be securely fitted with no cracks, loose fittings or sharp edges. 23) Numbers: The riders’ own registration number must be clearly displayed in the correct size and in the appropriate class colour and on the correct background colour. Three (3) number plates must be displayed, one on each side of the motorcycle and one on the front. Numerals must be clear and legible. Riders to ride with single – double – triple numbers or letters, one of each number – letter per class. State numbers are accepted. *Quads must display numbers on front and back of machine. 24) Helmets: Helmets must be of the correct MOTOCROSS approved type of either “open face” or “full face”, in good condition with no cracks or deep cuts. Minor damage is acceptable. Each helmet must carry the Australian Safety Standards Triangle symbol with the figures AS1698 or 1698, Or of similar standard (IE DOT SNELL) WARNING: Helmets bearing labels stating that the unit “conforms” to or “exceeds” the above standards do NOT confirm these requirements. Chin straps must be securely fixed to the helmet and must not be frayed or otherwise damaged. Chin strap locks must be of the double steel loop type. Press studs as a sole locking device are NOT permitted. 25) Boots: Boots must be of the correct approved long-boot MOTORCROSS type in good condition with no cracks, cuts, broken straps or clips. Work/ankle cover boots are only permitted for Pee Wees. 27) Clothing: All competitors must wear gloves, goggles, long sleeve shirt and long pants. ✓ They must be of closed loop design and not extend beyond a point of the wides dimensions of the vehicle, measured with a straight edge touching the outside of the front and rear tyres. 8) Scrutineering: ALL RIDERS must present themselves fully dressed in approved protective clothing, with machines, including backup bikes, to the scrutineer for approval before entering the track for practice or competition. 9) Re-checking: Any rider’s equipment or motorcycle may be required, at the discretion of the pit marshal or scrutineer, to be rechecked at any time during a competition meeting. The pit marshal or scrutineers word will be final. 10) Testing of Bikes: Bikes must not be ridden in car park area, and riding bikes along club access road is not allowed. If you need to test your bike please see the PIT MARSHALL. Green: Start of race, or OK to proceed during a race. White: Ambulance of First Aide Red Cross. First Aid Flag is for attention of first aid officers. Flag is to be used in conjunction with yellow flag, riders to observe rules for yellow flag. Do not endanger our first aid officers. Note: Age is calculated at 1st of January. Should a rider have a birthday after 1st of January and be eligible for a higher cc class – the rider may elect to change to that class but cannot return back to original class. Previous points will also not be carried over. 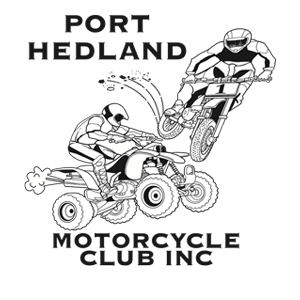 A rider may ride in more than one class ie: 14-year old’s may be in the 85cc 12-16 years old’s and Junior Lites class. Age calculated as at 1st January on race year. 1) Punctuality at start line: Riders must be prepared to start according to the programme. If any rider is not prepared to start within two minutes after all other riders in the event are prepared to start, he/she may be considered as a non-starter. 2) Late Starters: A late starter may be permitted to start in a race after the race has officially commenced, provided he crossed the start line in the normal matter, and does so before the leading rider had completed the first lap. 3) Jump Starts: Any riders after having made one jump start in any one event (ie: crossed the start line before the start signal has been given) he shall be put to the back row of the field. 4) Erratic Starts: Any rider having made an erratic start and considered by the start to be doing so in a dangerous manner, or in a manner so as to jeopardise the fair chances of one or more of the riders in the race, may be disqualified from the event. 5) Leaving the Course: Any rider leaving the course during a race must re-enter the race at the point of exit when it is safe to do so. Any rider leaving the course to undertake repairs of adjustments during a race may do so as long as they enter the race at the same point of exit. No points will be given for that race if the rider enters the pit for repairs or adjustments or are assisted with repairs. 6) Foul or Dangerous Riding: The meeting stewards and or disputes committee may disqualify any rider or riders who in their opinion are guilty of any foul, unfair or dangerous riding, when in their opinion, such riding had resulted in an unfair advantage or jeopardised the fair chance of one or more o the other rides in the race. The stewards may declare the race void and order a re-run. 7) Protests: A protest can only be submitted by a rider at the appropriate point, as advertised at Riders Meeting, directly after the race concerned BEFORE re-entering the pits. Should a rider re-enter the pits on completion of the race a protest cannot be lodged. After lodging any protest, a rider must pay a protest fee of $70.00 before the protest can be heard by the Dispute Committee. 8) Numbers: All previous riders will automatically carry over their race number from year to year, except when the rider from junior class to Senior Class. This is when the senior will take priority and the junior will have to choose another number that hasn’t been used. If a rider fails to nominate for the first event his number will then be forfeited and put back up for grabs. MA numbers will override all of these rulings and take priority. Numbers must be clear and legible, there will be zero tolerance given for incorrect number or background colours. Scrutineers at all clubs are to enforce. Backup Bikes: If a rider wishes to use a back-up bike in a race, he must get his bike from the pits without assistance of any kind and re-enter the track at the same point at which he had left his bike. No points will be scored for that race. Fallen Riders: Once a rider has fallen and created a dangerous situation resulting in the stopping of the race, the rider in question will be ineligible to re-enter into the re-start, until the rider has been declared fit by a qualified person ie: ambulance attended. The rider’s bike is scrutineered by the pit marshal or scrutineer before re-entering the race. Practice: All bikes to be scrutineered before/during. Any person using the ambulance at any club meeting is solely responsible for the fee incurred. Engine, carburettor, fuel systems, exhaust systems, electrics & air box MUST remain as per manufacturers specifications. Running of Junior Capacities: Junior capacities will be run the same as MAWA Constitution. Junior Lites Class: Riders ages 13 years to under 16 years as of 1st of January of current racing year are eligible to enter Junior Lites Class. If a rider turns 16 during the racing year they may (not compulsory) elect to go up to Pro Lites Class. Should a rider go up their points will not be carried over. Junior Lites are not eligible to participate in feature race. Junior lites class will be split into 100cc-150cc 2 stroke and the 200cc-250cc 4 stroke classes. The two capacities will race together, but shall be scored separately as per MA ruling. Clubman Class: The following previously recognised classes will race as Clubman Class: 251cc +, Enduro and B Grade will be scored as one class. Vets will ride with the Clubman Class but will be scored separately. 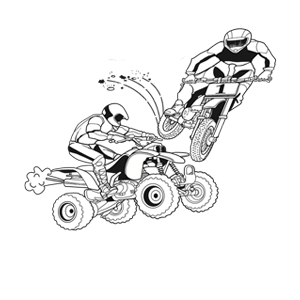 250CC and OVER: All motorbikes which are recognised motor-cross bikes with capacity over 250cc, e.g. : KTM360 (non enduro model) and CR and KX500’S and takes into account future bikes which may come onto the market. Silent Numbers: Out of respect for the passed over riders, the following numbers will not be used by the PHMC.